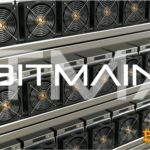 Bitmain, the largest manufacturer of mining hardware, plans to release new-generation ASIC devices on the lead-up to the bitcoin halving expected in May. It is reported by the South China Morning Post. According to the company, the S17 and T17 devices will be equipped with 7-nm chips. The latter are 30% more efficient than the chips of the previous generation. New ASIC miners will be released later this year. In Bitmain they hope that in the run-up to the halving and the rise in the price of Bitcoin expected by the majority of market participants, the demand for more efficient devices will be high. 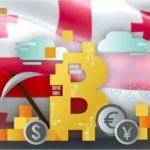 This strategy has already been successfully tested by the Chinese mining giant. So, on the eve of the previous halving, in 2016, the company released the Antminer S9. This model enjoyed extremely high popularity in the world and even a year after its appearance on the market, S9 accounted for about 60% of total Bitmain sales. However, some experts believe that this time the new line of devices is unlikely to bring the "golden mountains", since competition in the market has increased significantly. So, last summer last year, Cana Creative introduced the AvalonMiner A9 with a 7-nm chip. According to some data, the main competitor of Bitmain in March attracted "hundreds of millions" of investments, after which the company's capitalization exceeded $ 1 billion. 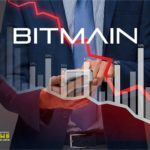 So far, the situation in the company is not the best - Bitmain closes offices, cuts staff and changes management. We also recall that the Bitmain's application for an IPO on the Hong Kong Stock Exchange has expired recently. Immediately after this, it was reported that a number of investors were preparing a class action against the company. © 2018 bit.news | queries 228, for 0.159 sec.